From the Ty Beanie Babies collection. Plush stuffed animal collectible toy. Mint with mint tags (with heart & tush tags). Approximate size: 8 inches. One of the Teddy Bear style TY Beanies. Ty Beanie Baby – Clubby III the Bear. From the Ty Beanie Babies collection. Plush stuffed animal collectible toy Clubby 3. Also another very cute bear from Ty! Because this club is number 1! The Clubby III Beanie and Buddy were introduced at the same time as a set. 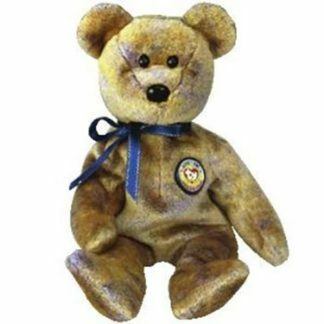 Ty sent newsletters to existing BBOC members to announce the new bears. 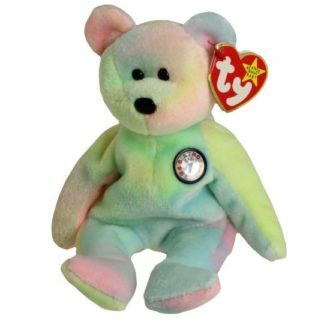 Clubby III was the first BBOC Beanie Baby to be introduced along with its Buddy counterpart. 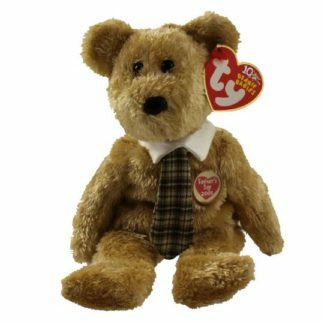 Get your Ty Beanie Babies Collectible plush animal, Disney collectible or any other cute stuffed animal Today! While there are many to choose from!